Jim Walls, creator of the classic Sierra adventure series, Police Quest, was interviewed today by Chris Pope, Executive Producer of Guys from Andromeda LLC (the company involved in developing SpaceVenture). The biggest news to come out of the interview is that Jim Walls is planning to join all his other ex-Sierra colleagues in starting a Kickstarter project with the hopes of receiving enough funding for a Police Quest-like game (like most of the Sierra Kickstarters, Activision owns the rights to the IP, with the exception of Leisure Suit Larry). It's still early days and there's a lot of work that needs to be done, so Jim Walls is asking for anyone who wants to help to contact him via his website, however he intends on seeking Kickstarter funding this year. 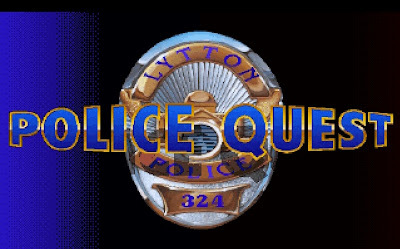 So keep an eye out for a Police Quest Kickstarter in 2013 :). What is Jim Walls doing nowadays? Jim Walls is currently retired and has been for the last 10 years. He currently resides south of Oakhurst, California in a town called Coarsegold. How many years did Jim Walls serve as a police officer? How did Jim Walls end up working at Sierra On-Line? Ken Williams, founder of Sierra-Online was actually a client of Jim's wife who was a hairdresser. Ken Williams mentioned he wanted to make a police game and to have an actual police officer involved in its development. Where did Jim Walls get the name Lytton from? How long did Jim Walls work at Sierra On-Line? 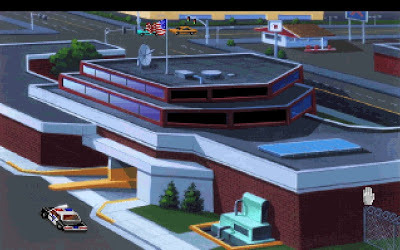 Is the bar in Police Quest called the Blue Room a homage to the Blue Oyster in the Police Academy films? No it's just a coincidence. Was the "Death Angel" (Jessie Bains) in the Police Quest games based on an real person? Yes he was. Jim Walls was actually involved in a shootout with this criminal and he was eventually apprehended. While in his holding cell he told another person who was arrested for drink driving that when he got out he was going to get revenge and kill Jim's family. He actually managed to escape but fortunately no harm came to Jim or his family (although he admits he was paranoid for a time afterwards). Was Jim Walls involved on the development of Westwood Studios's Blade Runner? Yes. Jim was hired as a consultant to work for Lead Designer, David Leary. He added a degree of authenticity to the parts of the game involving police. Does Jim Walls share the same birthday as Ken Williams? Yes. Not the same birth year though.